**If you are using Mac OS, or ios and have the YouTube app installed, scroll to the comments section at the very bottom of this article to see what worked for one person. It’s really far down and easy to miss…it’s even past the little Bio of me, where it looks like there won’t be any more content related to this topic. Some things have changed with Google’s account security settings, which impacts ios 8 users in several meaningful ways. The overall impact on ios users results in difficulty connecting their accounts to the apps that rely on Google accounts. I thought that I had covered all of this in a previous article I wrote. I also thought I had effectively managed my own Google accounts. I decided to write a separate post specifically for this, because it’s not something that anyone would immediately think about when updating all of their security settings for Google accounts. So the most recent problem I encountered was when I attempted to upload a video using the iMovie app. I’d previously used iMovie on that iPad to do exactly that. I’d also addressed the new Google security issues for the YouTube app on the iPad I was using. In fact, I had signed in previously to both apps and used both apps for this same purpose within the last few days! That’s why I was more than a little puzzled when YouTube asked me to sign in again prior to uploading a video. I tried…several times…yet kept the boxes to enter my data just ‘refreshed’ and appeared empty again…awaiting me to enter my sign in data. But, because there were no error messages of any kind, I assumed I’d just typed my password incorrectly. But after several more attempts, and then going to look up my password in Dashlane, and actually copying it from my personal password data bank (stored in Dashlane), I pasted it in and tried again (to rule out typos). The more I thought about it I wondered if this wasn’t a direct result of updating to ios 8.1.3? Step 1 Log into your Google account from a web browser and go to your Google Account settings. Step 3 Go back to your account settings and generate an app password for YouTube for an iPad or iPhone, whichever is the case. Step 4 After you’ve generated the app password, you can copy and paste it into the password box for the sign-in to YouTube in the iMovie app. You will see the signin box when you attempt to upload a video to YouTube. After you’ve done that you should be able to begin the upload process. See my longer article. I wrote a lot more about setting up Gmail and Google accounts in ios 8. In it there are also links to some of the various Google accounts and settings pages to manage your account security, as well as to some Google support articles. 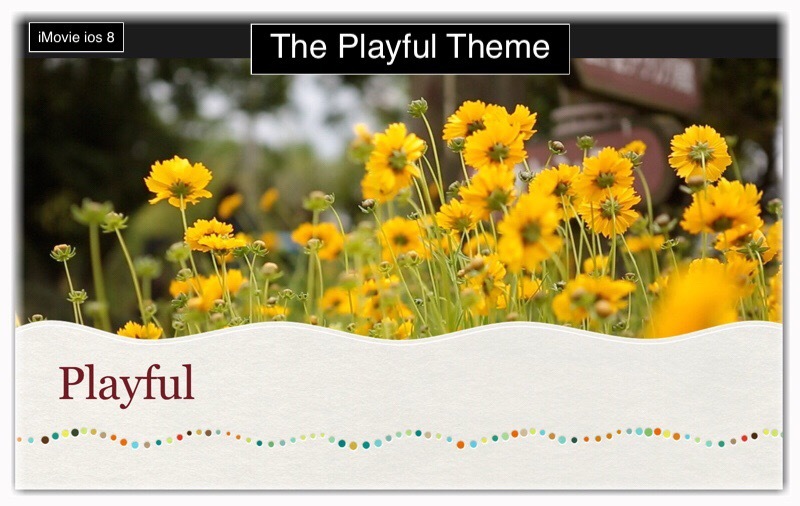 Despite this theme’s name, I wasn’t feeling very playful at this point in time! I wrote a short post on my other website (by accident)…it was supposed to here…telling you how to upload videos using the YouTube app. You can find those instructions here. This has become my ‘go to’ method. I use it all the time because iMovie just ends up taking way too much time to upload from. I just used this method to upload a new video to my channel…the link’s right below here. OK, you’ve ignored my warning so here goes: There are a few exceptionally ironic events which compelled me to write this post today. The first is that I just updated to ios 8.1.3 today on my favorite iPad Air 2, (the same iPad that I uploaded the video from). Immediately after the install finished I found that I could no longer use the ‘Speak Text Out-Loud‘ function that I use so often to listen to articles on a wide assortment of topics as I complete ‘mindnumblingly boring‘ tasks like laundry. The ‘Speak Text Out-Loud‘ function became altered speed-wise, so that almost everything that was read out loud was so extremely fast that I couldn’t understand it! It sounded like gibberish. Of course I knew how to change this setting and naturally I tried to do that. I also tried out different voices…all in vain. I tried this same function on different ios devices I use…all with ios 8, but most I’d not installed the latest update on. The results of my tests were oddly inconclusive. The speed issue presented itself on several different devices but in different ways, or while using different apps, or with different document types. Especially with PDFs. I started to get really confused. I researched the issue and found only 2 mentions of it in the Apple forums, (both quite recent), so I decided to write a little article about that and create a video example of the sped-up gibberish my iPad is spewing. But I couldn’t actually upload the video for about an hour. I finally figured out the problem and went to change that particular Google account’s security settings accordingly. Then I was finally able to upload the video! Yay! A little while later I received a confirmation notification from YouTube that the video was complete and I was asked if I’d like to view it. Of course I did want to, so I tapped YES and the YouTube app was auto-opened. But I had been signed out of my account! (Despite my being logged in an hour earlier) So I attempted to resignin…repeatedly, but was I was locked out. I tried generating & using a new app password…but I was told to just to use my regular password…not the app specific one. When I used my regular password I encountered the exact same scenario described above that I initially saw in iMovie. The sign-in box just refreshes. No error messages were shown directing me towards where the problem may lie. To make matters worse I was automatically signed out of all my Google accounts in the YouTube app. I’m was completely unable to log into any of my Google accounts on that iPad’s YouTube app. The speed issue was a longer, more complex one than I anticipated. But in the end I believe that it is specific to reading PDF’s out loud, in EverNote for sure, and quite possibly some other apps too. But I did figure out 2 workarounds. The first is to open the PDF in GoodReader. GoodReader provides it’s own in-app speed control utility. So, for now, that’s my best solution. However I also found a second speech speed setting in ios, deeper in the Accessibility settings. I’m pretty sure this 2nd speed setting, which is under Accessibility and then Switch Control – Audio, can be tweaked, if given enough time, to fix the fats speech. You don’t need to enable the Switch Control feature…just tap on it and go to Speech, then adjust the speaking rate there too. You can leave comments towards the bottom of the page. This entry was posted in Apple's New ios 8, Fix A Problem Uploading Videos to YouTube Using iMovie on ios 8, iMovie and tagged 2 Step Verification ios 8 and 8.1, Google accounts, iMovie, ios 8, YouTube. Bookmark the permalink. So I know that will work uploading from the YouTube app but the problem in having is that it is not 4K vid it’s only 720p. I was using the iMovie app and uploading them to YouTube directly witch gave me 4K but then all of a sudden they are not uploading. It looks like it’s about to upload and then it does noting. I’m logged in correctly and have used it recently on the same version and now it’s not??? I heard it could be the length of the movie going over 10mins and that would be correct because one other was 5 min and uploaded and this one is 13mins and it’s not uploading. I’m confused because that is the only way to get 4K onto YouTube from iPhone. And that is why I bought the new iPhone is for 4K video. Please help someone. There is something about the 10 min thing that I vaguely remember. I think I ran into that years ago and somehow found the place I needed to submit my application to YouTube for longer video privileges. Once I applied (which was easy when I found where to,) I think my approval was pretty fast…like the same day or maybe the following day. Then I could upload longer videos. Why don’t you give that a try and if it works let us know…and maybe include the link of where you went to request it? I’d love to see your 4K video too….I haven’t tried that yet…everything about it seems intimidating to me :-) Good luck!!! V.
Hi. Im having problems trying to upload a certain video to youtube. I did all the steps you did on your article, its just that when it gets to the uploading to youtube part, it freezes there. There wasnt any progress while it was on the uploading to youtube part. Im really confused if its suppose to do that or if something is wrong with my device. I was wondering if you can help me with that. If you can that will be great! Hi, That’s the exact same problem I had and why I wrote this article. The problem is that you have 2 Step verification setup for your YouTube/Google account and theoretically generating an app password while at your Google account settings should work. But it didn’t for me several times…other times it did…I use several iPads. You could try removing the 2 Step verification. Or you could try the work-around below. 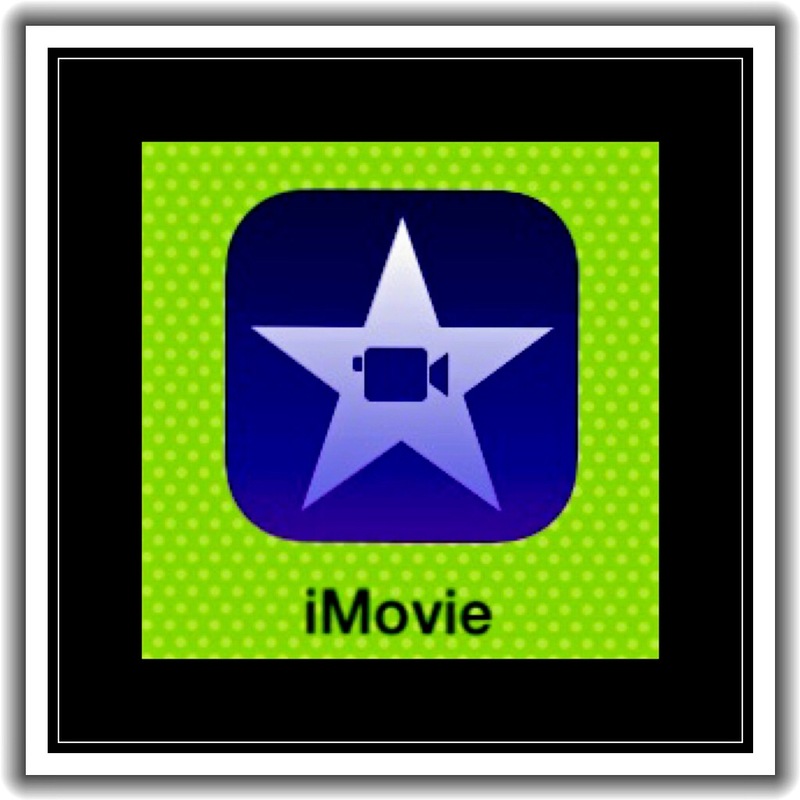 It’s really annoying that the iMovie app doesn’t tell you anything…you just wait and wait thinking it’s doing something! The best work around I came up with is to save the video to your ‘camera roll’ which is really called ‘Photos’ now and then upload it from within the YouTube app. If you don’t have the YouTube app, download it from the App Store and then sign into your Google account. Then look for someplace to upload from. They just updated the YouTube app and it’s completely changed…so I haven’t used it for uploading yet and can’t give you the exact steps. But I was looking around at it the other day and there was a place to upload your videos from. If you get that far and can’t find it let me know and I’ll try to find it for you. Good Luck! I’m still relatively new to WordPress, and haven’t mastered comments and replies yet. I ended up using email to help one reader solve her problem. So what started out as comments here, evolved into an email exchange. So I copy/pasted the rest of the conversation as comments by me…to get them to appear in the correct chronological order. Several more ideas that have worked for me personally and then what actually worked for this reader, who’s a Mac OS user are contained within my replies. A really great and informative article! I was wondering if you could help me with a similar problem. I’m trying to upload a 4 minute video from iMovie ’09 to Youtube and so I spent quite a few hours scouring the internet which eventually led me to discover that I had to do some weird 2-step Verification and then some strange “Application-Specific Password & Site. But after about four tries of entering the generated password and quitting and then restarting iMovie ’09, it STILL doesn’t accept the password and I simply get the error message: “An error occurred.” I haven’t found anything online that tells me how to solve this. Can you help? I’d greatly appreciate it. I wish I had a good answer for you. Entering the app password finally worked for me…but it was a long frustrating process. I was using ios iMovie 2.1.1 when I encountered needing the app password. That came out in November 2014. Earlier versions didn’t require it. But I’m not entirely sure it’s an iMovie problem…I think it’s actually a situation caused by Google beefing up security. There are 2 things I would try are. First I’d try removing 2 Step verification from your Google account. Google will tell you that’s unsafe…but it’s just temporary. Then try to upload it again. If it works, then you can renew the 2 Step after you’ve uploaded it. It sounds like your using OS not ios…but I could be wrong. I use Windows so I don’t know much about work-arounds for OS. But if you’re using ios, then another thing you could try is to upload the video using the YouTube app instead of the iMovie app. That’s a recent enhancement and it worked for me once. 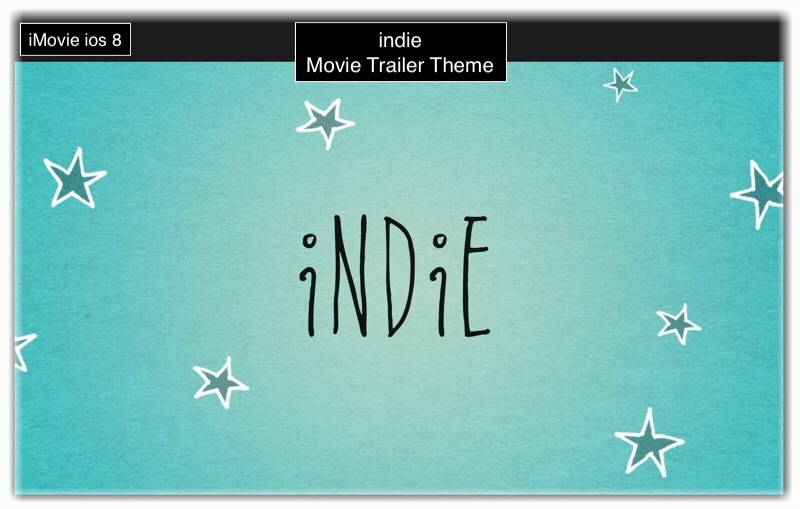 You’d save the project to your camera roll within iMovie. Then open the YouTube app and make sure your signed into your Google account. Whether or not you need an app password for that seems inconsistent to me. Once I did…once I didn’t. But more recently I didn’t…so let’s hope. After you’re signed in, open the menu by tapping on the three lines at the top left. Then tap on the arrow that points up and has a horizontal line under it…to the right of ‘My Channel’. That should open a dialogue box that displays videos on your camera roll. Then pick the one you want and it should start uploading. I really hope one of these 2 ways works for you…let me know if you get a chance? Thank you so much for responding to me! Yeah…I tried doing it without the 2-Step Process (I didn’t even know about it before I began my search for why my video isn’t uploading) but it didn’t work. Since I don’t use OS I’m not entirely sure this will work. But using iMovie try to save the project, in the way that it produces it, to your hard drive. I’m not sure what your options are for this on a Mac. On my iPad I basically can save it in 4 different resolutions and then either upload it to YouTube from within iMovie or save it to the camera roll. I’m guessing there’s an option to save it to your hard drive. Depending on the resolution you save it in it will take anywhere from maybe 10 minutes to 1/2 hour or so, to ‘produce’ it. Then that saved project is what you upload to YouTube. You don’t need the app on a computer, and this production process is what prepares it for sharing. I hope this makes sense…and works! I tried calling Apple one time when I was having a big problem with a video I’d worked on for a long time, and after hours on the phone getting moved around to higher level ‘experts’ each time, the end result was they had no clue how to solve the problem! Good luck! OMG!!! You’re so awesome! It worked!!!! Glory be! I exported the video to “Documents” and then from there I uploaded it from Youtube! You are a LIFESAVER, my friend!!! Thank you, thank you, thank you! You definitely helped me out more than either the Youtube and Google so-called help forums put together!